Small changes in the climate or environment can have dramatic impacts on those whose lives depend on local natural resources. Antarctica has no indigenous population and no permanent residents, but the Arctic has a relatively small number of indigenous people, mostly concentrated along the coasts. 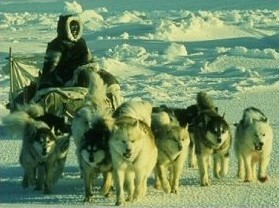 They rely on sea ice for transportation and hunting. 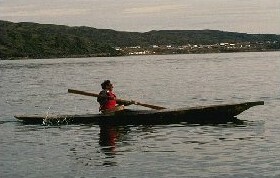 The Yup'ik and Inuit populations, for example, closely observe the quality of sea ice for spring hunting. When sea ice in the spring melts too rapidly, it shortens the hunting season. Inuit Elders point to the last decade as a period of considerable change. In the past, they predicted weather using traditional indicators such as clouds, winds, and currents. These indicators are no longer working.